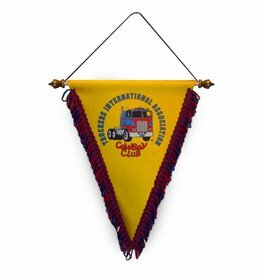 This vane with TIA logo is perfect for your truck. The vane is made of sturdy materials and is easy to hang with the string. 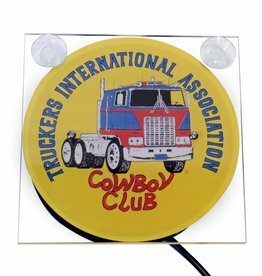 This light box is ideal for your truck. It is easy to attach with the suction cups and easy to connect with the power cable. 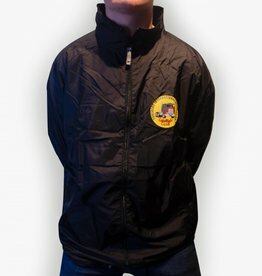 This raincoat with TIA logo is waterproof and therefore perfect for the rainy days. 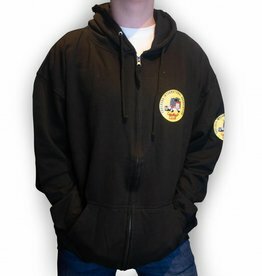 This warm Cowboy Club hoodie cardigan features a TIA logo on the chest and a logo on the right arm. 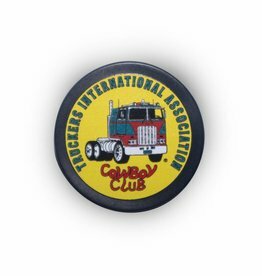 This sticker is a large version of the TIA sticker 10cm. 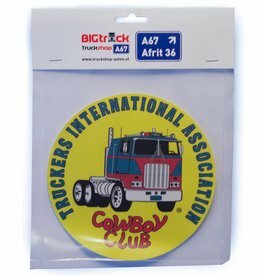 This 17 cm diameter sticker has a plastic finish which makes it resistant to water and dirt. 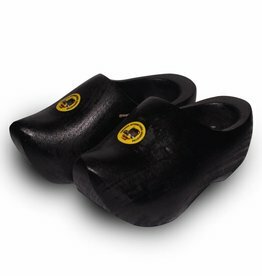 These clogs are fun to put down or hang somewhere, but also nice as a gift for someone else. The wooden nuggets are made of wood and painted in a black color. In addition, they are provided with a TIA logo. This magnet is fun on the fridge, but of course stays on every magnetic surface. 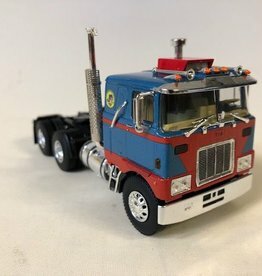 This makes it suitable for the truck or car. This warm fleece cardigan is perfect for the cold days. 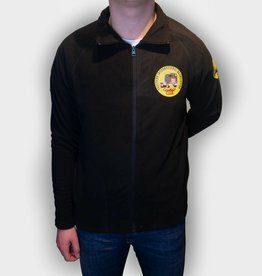 The cardigan features a TIA logo on the chest and sleeve and is nicely warm through the material. 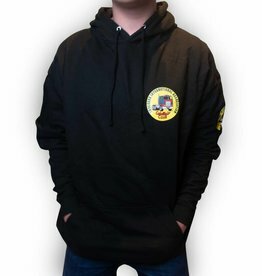 This warm Cowboy Club hoodie sweater features a TIA logo on the chest and a logo on the right arm. 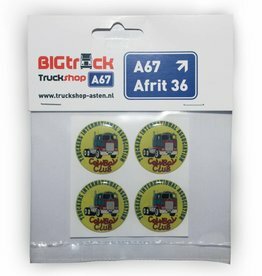 These dooming stickers with the tia logo look great by the bulging on the sticker, because of this they are extra and they are a lot firmer as normal stickers. They are packed per 4 pieces. 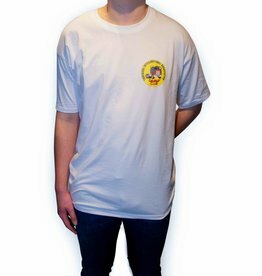 This white Cowboy Club T-shirt features the TIA logo. The fabric is of excellent quality and well washable.